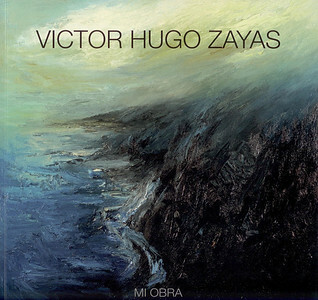 Recently I have had the pleasure of photographing the work of Victor Hugo Zayas. 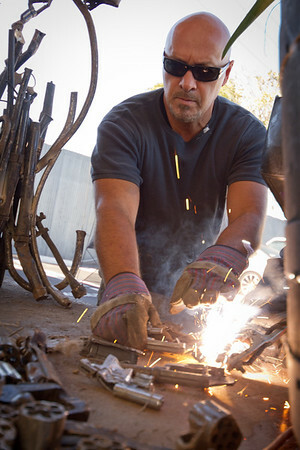 Victor has been a dynamic presence in the Los Angeles art community for over 25 years. 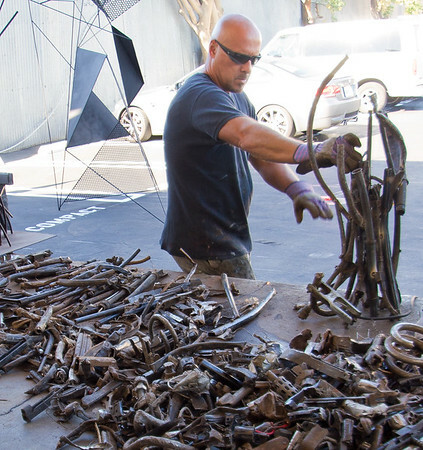 I photographed the process of transforming guns seized by LAPD, as they were transported to a grinding site, ground down, and transformed by Victor into sculptures. 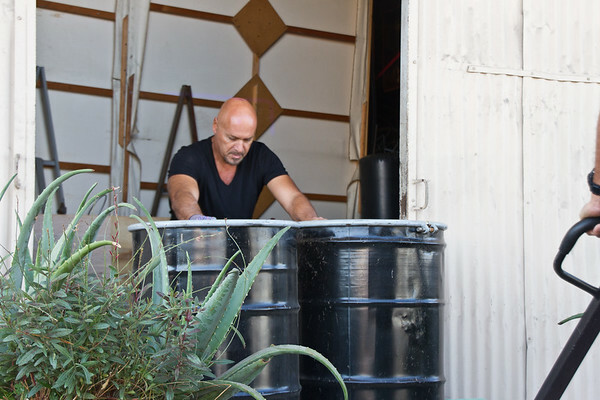 Working with Victor is truly a pleasure, and his passion is evident to all who meet him. 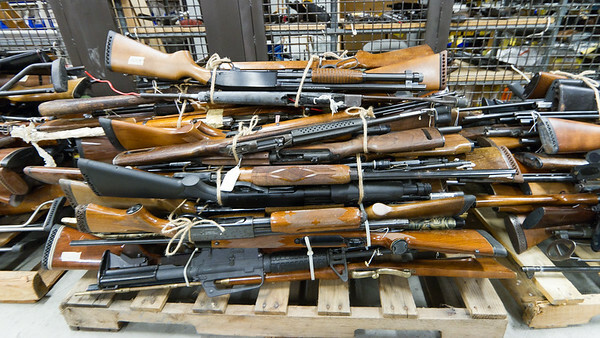 Weapons seized by the L.A.P.D. sit in a property room before being destroyed. LAPD S.W.A.T. Teams take the weapons to an undisclosed location to be ground down. 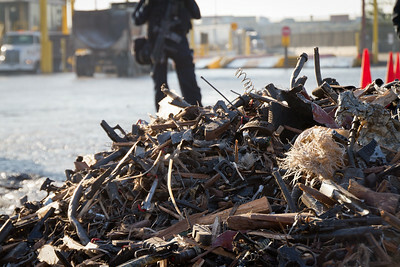 Bags of guns are loaded onto a conveyor belt to be destroyed. 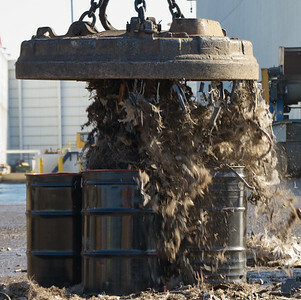 A massive magnet drops the gun metal into large barrels. 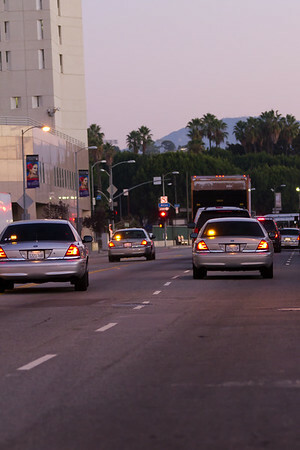 An L.A.P.D. 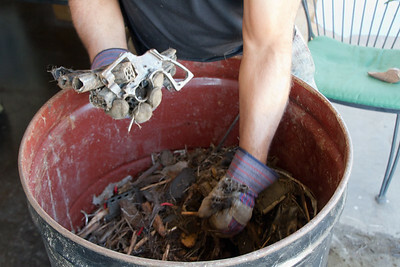 SWAT member guards the gun scrap while it is repeatedly checked to be sure there are no functioning guns or salvageable pieces. 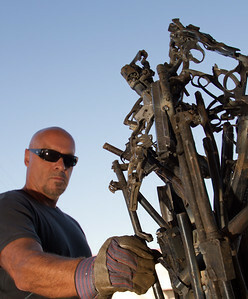 Gun remains used to make sculptures, Artist Victor Hugo Zayas. 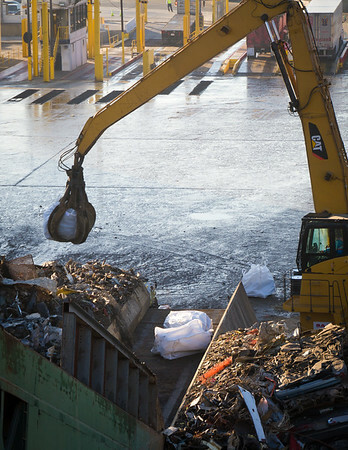 Artist Victor Hugo Zayas receives the first shipment of the guns that have been ground down. The sculpture begins to take shape. The first of several sculptures starts to take shape. 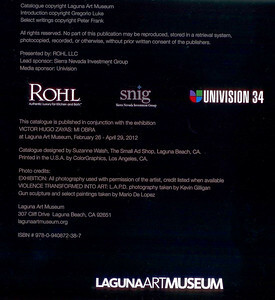 Inside cover of the catalog. 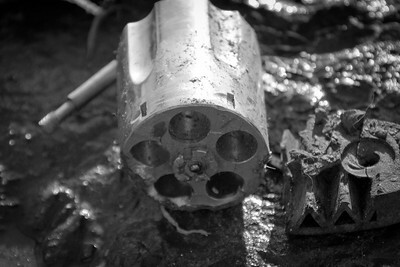 A close up of a revolver cylinder after it has been through the grinder. This image is not in the exhibit or book but I liked it so I included it here.